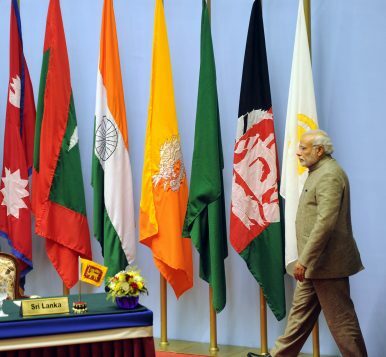 Why the cancellation of the 19th SAARC summit could mean new life for the regional grouping. Critics called Modi’s decision unprecedented because it is the first time that India has boycotted the summit explicitly citing Pakistan’s support for terrorist groups as the reason. However, the cancellation of yet another SAARC summit is in itself a mundane affair. Despite the charter requiring its member countries to meet annually, SAARC summits have been cancelled numerous times. While SAARC is 31 years old, this would have been only the 19th summit, and the most recent SAARC summit was held two years ago in 2014. The significance of Modi’s decision lay in its aftermath: Bangladesh, Sri Lanka, Afghanistan, and Bhutan followed suit, also boycotting the summit. This solidarity boycott, which dealt Pakistan a humiliating snub and forced the cancellation of the summit, was discussed in the Indian media as either a far-sighted sidelining of Pakistan in the region or a death blow to an already dysfunctional organization. In reality it is neither. In the long term, Pakistan cannot be sidelined in South Asia, and the boycott, by Bangladesh and Sri Lanka in particular, paradoxically represents an opportunity for India and SAARC. SAARC was established in 1985 to promote regional cooperation. It fell so far short of expectations that a former Indian minister of external affairs, Yashwant Sinha, dubbed it “a complete failure.” Contrary to academic and policy analysts, SAARC’s dysfunctional reputation is a result of not only short-sighted economic policies and the contentious India-Pakistan relationship, but also of the deep mistrust in two key bilateral relationships: India-Bangladesh, and India-Sri Lanka. The mistrust defining these relationships has stemmed from complex domestic politics. India’s relationship with Bangladesh is contingent on the political transitions within the latter. The Awami League, which retains mostly positive memories of India’s intervention and backing in the 1971 civil war with Pakistan, leans pro-India. The Bangladesh Nationalist Party (BNP), on the other hand, draws support from partners with strongly Islamist platforms and has a hostile relationship with India. All of this is to say that Bangladesh’s and Sri Lanka’s support for India in boycotting the SAARC summit is the result of improved bilateral relationships due to propitious circumstances. The Awami League is in power in Bangladesh while the Sinhalese nationalist president of Sri Lanka, Mahinda Rajapaksa, has been replaced by the milder Maithripala Sirisena. These conditions present a real opportunity for SAARC. The only way to move SAARC forward is to maintain a “SAARC minus one” strategy. This strategy simply means bypassing Pakistan while maintaining engagement, and promoting sub-regional groupings within SAARC. This has been somewhat initiated already with the motor vehicles agreement between Bhutan, Bangladesh, India, and Nepal, which allows for smooth transfers of passengers and cargo vehicles between the three countries. Similar agreements could be expanded to other areas such as people-to-people connectivity, transit, and, related to this, culture and tourism, which offer immense opportunities. Implementing easier visa policies presents an area for progress. For example, rather than e-visas or visas on arrival, Bangladeshis are required to appear in person at the Indian consulate to secure a visa while Indians need to provide original passports and proof of employment. Cooperation on transit could also be further strengthened. There is, for example, no ferry service between Sri Lanka and India (although talks have started), and surprisingly, no ferry/cruise services between Sri Lanka, eastern India, and Bangladesh. There are also no regular official cultural exchanges in these bilateral relationships. At the height of the Indo-Soviet relationship, for example, there was an annual cultural exchange in each country’s capital. No such official exchanges exist between any of these countries. The Modi government is acutely conscious of India’s need to improve its regional standing, evidenced by the initiation of his term with an invitation to the leaders of all SAARC countries to attend his swearing-in ceremony. However, it would be a mistake to take the neighborly support for his boycott as either assent for the long-term isolation of Pakistan or the final cementing of regional solidarity. Rather, it should be used as a step to strengthen the organization. Manjari Chatterjee Miller is assistant professor of international relations at the Frederick S. Pardee School of Global Studies, Boston University, and a nonresident fellow at the Atlantic Council. She is the author of Wronged by Empire: Post-Imperial Ideology and Foreign Policy in India and China (Stanford University Press 2013). Bharath Gopalaswamy is the director of the Atlantic Council’s South Asia Center. Prior to joining the Atlantic Council, Gopalaswamy managed the Program in Arms Control, Disarmament, and International Security at the University of Illinois at Urbana-Champaign, where he oversaw developing projects on South Asian security issues. Prof. Miller and Dr. Gopalaswamy co-authored a policy brief on SAARC in April 2016. India will have to remain nimble and responsive in its neighborhood.